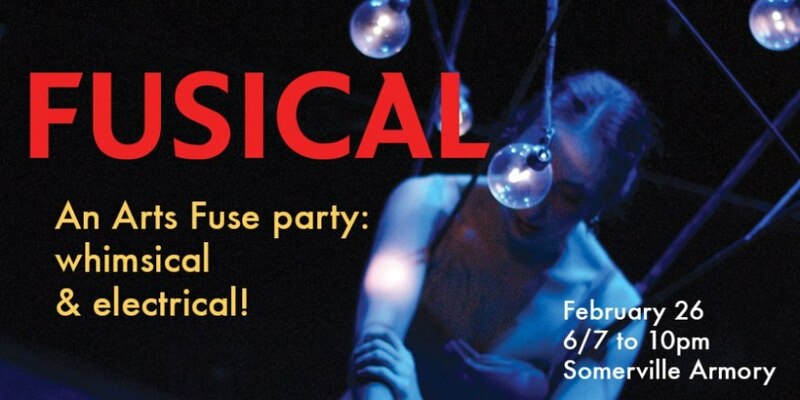 The Somerville-based non-profit The Arts Fuse --- Boston’s indispensable online arts magazine covering dance, film, literature, music, theater, and more – is hosting “Fusical”, an evening dedicated to celebrating local arts and culture. SOMERVILLE, Mass. - Feb. 23, 2016 - PRLog -- The Somerville-based non-profit The Arts Fuse (http://www.artsfuse.org) --- Boston’s indispensable online arts magazine covering dance, film, literature, music, theater, and more – is hosting “Fusical”, an evening dedicated to celebrating local arts and culture. The fundraiser and awards celebration will be held at the Somerville Armory (191 Highland Avenue 02143), next Friday, February 26th, 2016, from 6-10 pm. The School of the Museum of Fine Arts (http://www.smfa.edu/).